Dutch yacht builder Moonen launched its first hull in 1963 and has since been producing a variety of quality motoryachts between 65′ and 150′. In the summer of 2016 it launched and delivered the first hull of the raised pilothouse Matica line in the Caribbean series, the 30 meter Bijoux. Bijoux was designed by Rene van der Velden with large windows across the entire main deck providing views that connect guests with the ocean in addition to extensive natural lighting throughout. The interior was designed by the Adam Ley studio. The interior design features a four guest cabins and two crew cabins aft. According to Moonen’s press release the VIP stateroom is located forward on the main deck offering amazing views out of the panoramic windows. The lower deck features a full beam master stateroom along with two additional guest suites. According to Moonen, Bijoux comes in under 200 gross tons and offers maximum volume for the size. The double-bottom steel hull is based on the same successful hull of the Moonen 97 which translates into exceptional fuel efficiency, a gentle ride at sea and moderate draft which make it ideal for Caribbean exploration. 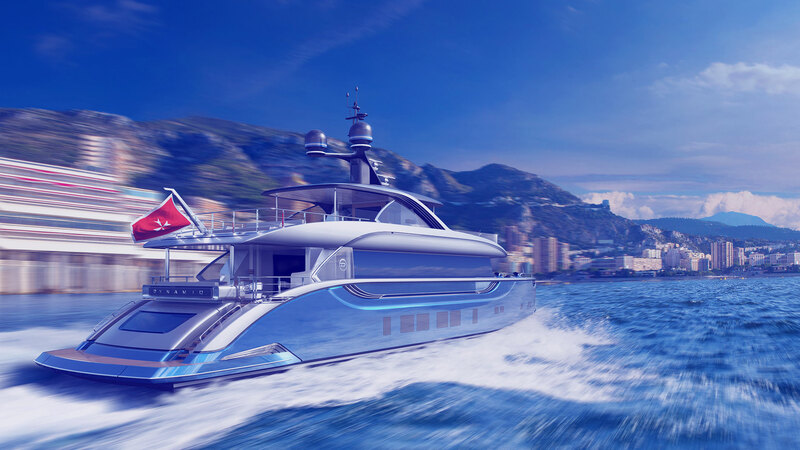 Moonen’s press release also states that there is another project in the Caribbean series currently available for sale with the first Martinique nearing completion.